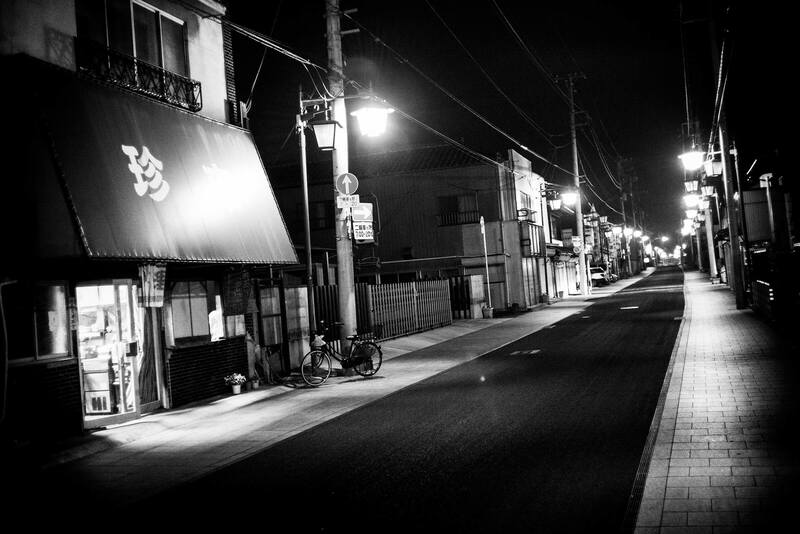 It is in Okayama, Kojima, Japan that we found the expertise to fabricate our denim. In fact, before producing their first denim in the 1960’s, Kojima was a prosperous cotton producing region in Japan. 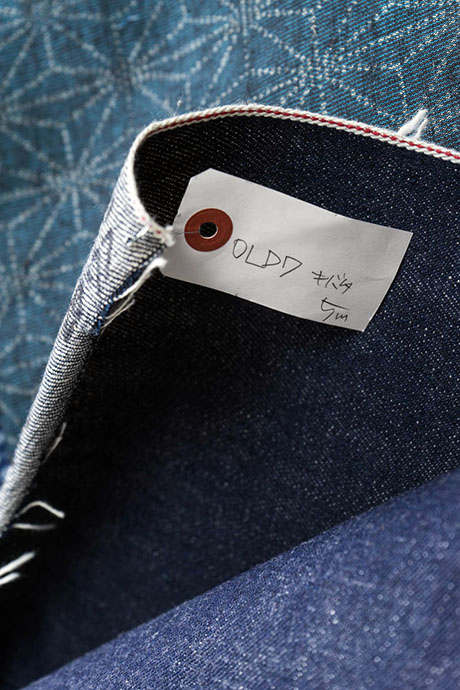 Today, kojima has become the global capital of high quality denim. 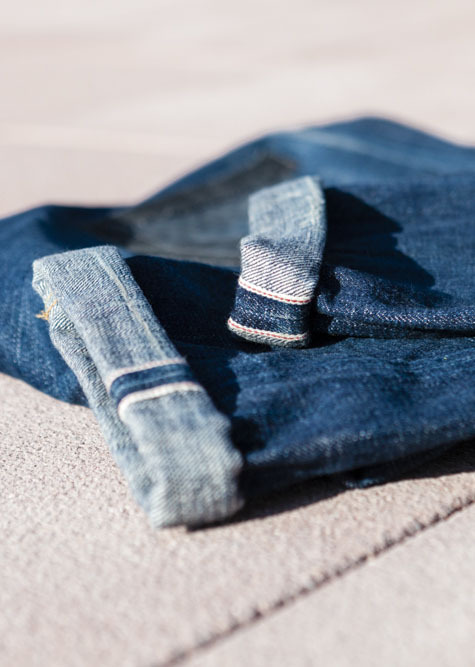 Each pair of jeans that comes out of the Kojima workshop, is well-known to be durable and made with the highest level of execution and attention to detail. Our 14oz. 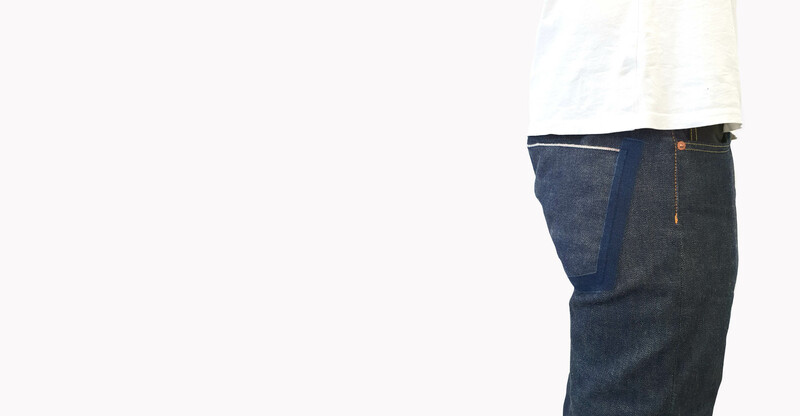 Indigo denim fabric is 100% cotton. The fabric is woven in Okayama, Japan. The size of the thread and the weaving method, creates a denim fabric that is robust yet flexible. The red and black Selvedge edge detail is the the finishing touch on our denim fabric. 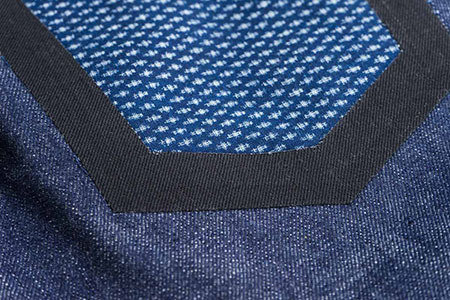 This parallel edge stitch revents the fabric from fraying, but is also a reason why we are proud to wear raw denim. 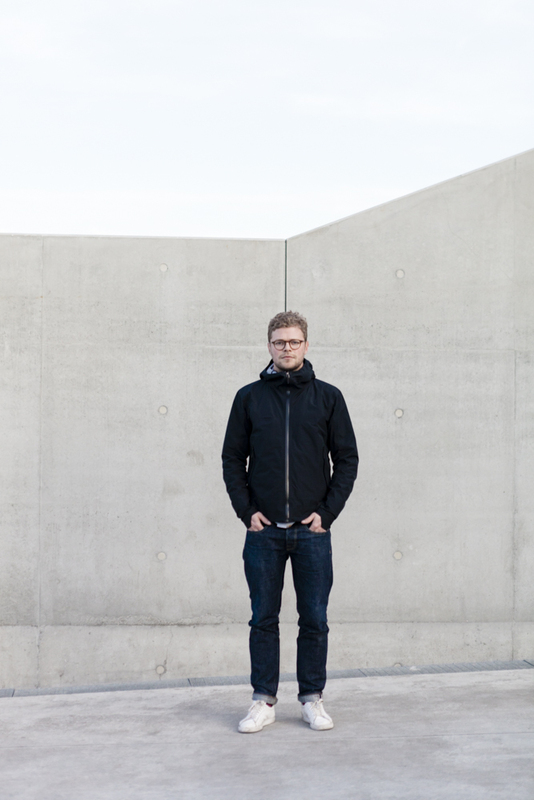 We have set out to redefine one of the ready-to-wear classics, the 5 pocket jeans. 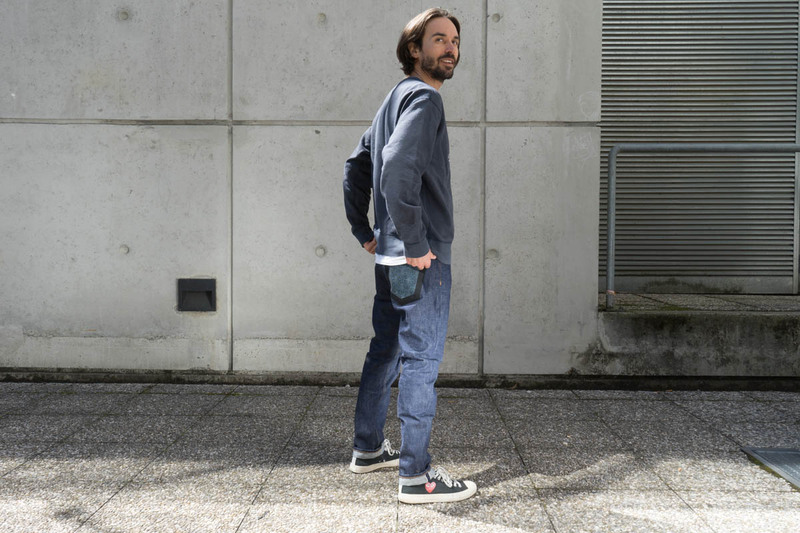 If the material of the back pocket is from the past, its will be assembled with a jeans that is much more contemporary. 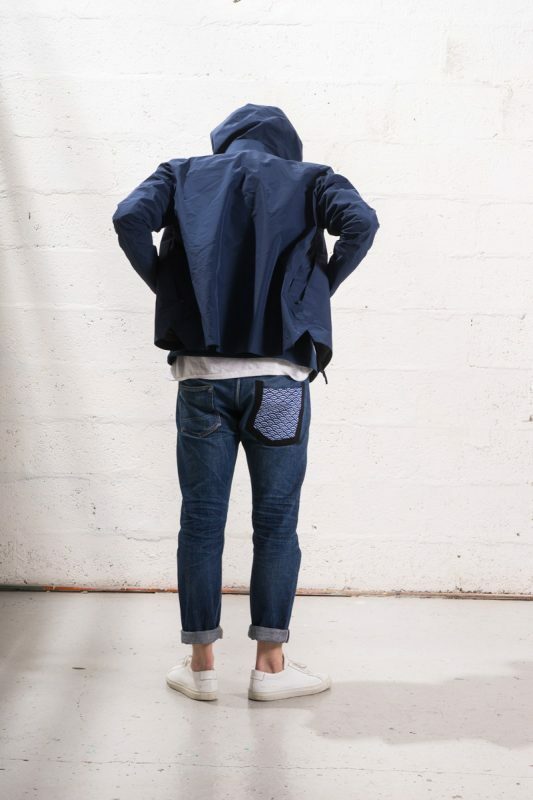 Each kimono kimono pocket is double reinforced with cotton, and is then topstitched on to the denim fabric. We then affix a piece of laser cut denim.